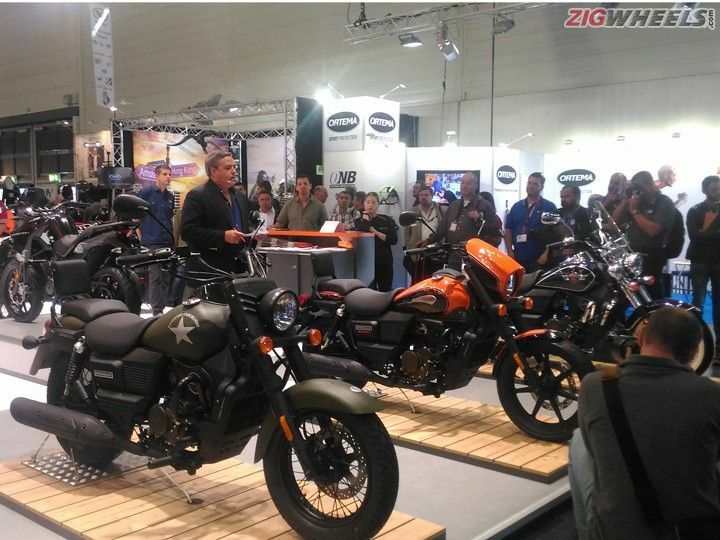 UM Motorcycles has made a strong presence at the 2016 INTERMOT motorcycle event in Germany where the company official announced its entry into the European market. The American motorcycle company currently has a global distribution network in 25 countries with 1200 outlets. UM will be introducing 11 models that has been updated as per the norms of the European market. The product range displayed by UM at the motorcycle event consists of cruisers, sport, dual-purpose, motard, adventure and scrambler models. “We strive to design good quality recreational and transportation products, with the intention of bringing aspirational models to the daily life of smart users that do not want to overspend, but that at the same time don't want to sacrifice a good riding experience on a unique bike…our Renegade line of Cruisers is a perfect example for those clients (men and women) who would love to cruise around on a comfortable American Chopper, but that may be deterred to buy a big, heavy and expensive bike, for those clients we have an excellent option in our Renegade series that start in the 125cc (EFI) engine size” he further added. In the first phase, UM Motorcycles is likely to introduce the DSR, Renegade and Xtreet series out of its showcased products. After signing an agreement with UK, Portugal and Spain for importing motorcycles, UM Motorcycles wants to expand its product reach in other European countries as well. In India, UM Motorcycles has already introduced the Renegade Sport S and the Renegade Commando cruiser motorcycles. The product range is soon expected to be expanded by two more offerings – a cruiser and a dual-purpose motorcycle by the end of the year. Share your experiences with Commando? 2018 Auto Expo - What To Expect From UM? Confused about UM Motorcycles Renegade Commando?